It was about time for Snapchat to do something new with their app and introduce a new feature in order to bring users back or to bring new users to their social media platform. So they have launched an important partnership with Amazon, in order to bring social shopping closer to their users. Just as Instagram is doing with all the shopping possibilities they have recently introduced within the Snapchat app. 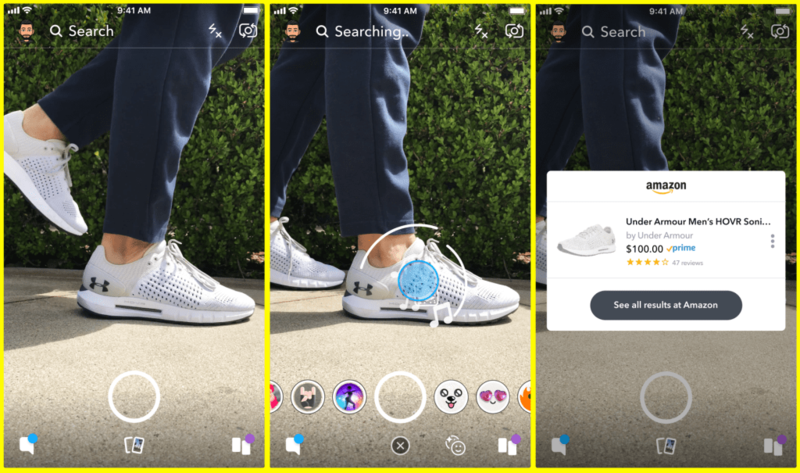 How does this new Snapchat social shopping feature work? It is no sci-fi to shop from Amazon using Snapchat. At the beginning of this week, they have started testing the new shopping feature, but it is not available to everyone yet. If you want to shop from Amazon, you just simply open your Snapchat camera; point it either to a physical object or to a bar code; press and hold on the camera screen and there you go. As soon as the product is recognized by the camera, an Amazon card will appear on the screen showing the particular item you were looking for, together with its title, price, image, reviews and other suggested products that are linked to the one you’ve searched or alternatives to it. If you want to buy that product, you will be either sent to the Amazon app (if you have it installed) or to the Amazon website to continue the purchase or just continue scrolling through other products. How helpful is the new Snapchat feature? It seems that there is a new trend within the social networks to slowly turning to e-commerce – see Instagram and Pinterest as well. So Snapchat couldn’t stay away from this and had to align. Snapchat representatives say that their platform has always been the fastest way to communicate, so now it will become the fastest way to shop. An advantage that the partnership with Amazon has is that if, for example, you see a product on the street or in a shop or even at a friend and you don’t know its name, you can just scan it and there! You will be sent to a link to buy it. We are curious to see how this new partnership with Amazon will help Snapchat revive. How about you? Do you use Snapchat? Will you use the new shopping feature?